The quantity and characteristics of coarse woody debris (CWD) were examined in four distinct pine ecosystems of north-western (NW) Spain, NW Russia and the NW USA. The average CWD volume and biomass ranged from 3.76 m3 ha-1, 1.55 Mg ha-1 in pine plantations in NW Spain to 24.86 m3 ha-1, 6.69 Mg ha-1 in Scots pine forest in NW Russia to 55.35 m3 ha-1, 20.38 Mg ha-1 and 77.04 m3 ha-1, 28.84 Mg ha-1 in ponderosa and lodgepole pine forests in the NW USA. Despite differences in species, ecological conditions and management histories, in all four ecosystems the mean snag volume was less than that of logs, most of the CWD mass was in an intermediate degree of decay, and mature stands had the greatest amount of CWD mass, followed by middle-age and then young stands. The CWD ratio (ratio of dead to live wood volume) ranged from 2.8% to 126.6%, depending on pine ecosystem and stand age, and was influenced by the type of natural and human disturbance. The difference in CWD amount and distribution among the regions studied reflected differences in disturbance history and management practices. Only in NW USA was the sample size large enough to examine the effect of disturbance type on CWD amount and distribution. There, fire and insect damage were found to considerably influence the amount of CWD in both lodgepole and ponderosa pine forests. Comparison of how different factors affect the amount and distribution of CWD in different ecosystems could be useful in developing ecologically sustainable forest management guidelines. Maintaining and restoring biodiversity in European boreal forests by developing natural disturbance regimes. Journal of Vegetation Science 9: 593-602. Coarse dead wood volume of managed oriental Beech (Fagus orientalis Lipsky) stands in Turkey. Forest systems 17 (3): 216-227. The forest inventory and analysis plot design. In: “The enhanced forest inventory and analysis program” (Bechtold WA, Patterson PL eds). Gen. Tech. Rep. SRS-GTR-80, USDA Forest Service, Asheville, NC, USA, pp. 27-42. Nutrient management in a Pinus radiata plantation after thinning: the effect of thinning and residues on nutrient distribution, mineral nitrogen fluxes, and extractable phosphorus. Canadian Journal of Forest Research 25: 1278-1291. Snags are for wildlife. In: “Proceedings of the symposium on snag habitat management” (Davis JW, Goodwin GA, Ockenfels RA eds). Gen. Tech. Rep. RM-99, USDA Forest Service, Flagstaff, Arizona, USA, pp. 4-9. Effects of timber harvesting on coarse woody debris in red pine forests across the Great Lakes states, USA. Canadian Journal of Forest Research 29 (12): 1926-1934. Shaping stand development through silvicultural practices. In: “Creating forestry for the 21 century (Kohm LA, Franklin JF eds). The science of ecosystem management. Island Press, Washington, DC, USA, pp. 141-151. The relationship between forest management and amphibian ecology: a review of the North American literature. Environmental Research 3: 230-261. Oregon’s forest resources, 2001-2005. Gen. Tech. Rep. PNW-GTR-765, USDA Forest Service, Portland, Oregon,USA, pp. 186. Boreal forests. In: “Boreal ecosystems and landscapes: structures, processes and conservation of biodiversity” (Hanson L ed). Ecological Bulletins 46, pp. 16-47. Proyecto FORSEE (20) INTERREG III B Espacio atlántico. Natural vegetation of Oregon and Washington. General Technical Report PNW-8, USDA Forest Service, Portland, Oregon, USA, pp. 417. Amount, structure, and dynamics of dead wood on managed forestland in Sweden. Forest Ecology and Management 131: 23-36. Cavity trees and coarse woody debris in old-growth and managed northern hardwood forests in Wisconsin and Michigan. Canadian Journal of Forest Research 28: 427-438. Variation in the amount of dead wood in woodlands of the Lower Wye Valley, UK in relation to the intensity of management. Forest Ecology and Management 98: 229-228. Extend and composition of dead wood in Australian lowland tropical rainforest with different management histories. Forest Ecology and Management 154: 35-53. Ecology of coarse woody debris in temperate ecosystems. Advances in Ecological Research 15: 133-302. Guidelines for measurements of woody detritus in forest ecosystems. Publication no. 20, US/LTER Network Office, University of Washington, Seattle, WA, USA. Modelling coarse woody debris in Pinus spp. plantations. A case study in Northern Spain. Annals of Forest Science 67: 708-716. Dry forests and wildland fires in the inland Northwest USA: contrasting the landscape ecology of the pre-settlement and modern eras. Forest Ecology and Management 211: 117-139. Decomposition and nutrient release from Picea abies (L.) Karst. and Pinus sylvestris L. logging residues. Forest Ecology and Management 126: 97-112. Modelling dead wood islands in European beech forests: how much and how reliably would they provide dead wood? European Journal of Forest Research 129: 659-668. Dynamics of the dead wood carbon pool in Northwestern Russian boreal forest. Water Air and Soil Pollution 82 (1/2): 227-238. Nutrient stores and dynamics of woody detritus in a boreal forest: modelling potential implications at the stand level. Canadian Journal of Forest Research 29: 20-32. Coarse woody debris in forest regions of Russia. Canadian Journal of Forest Research 32: 768-778. Effects of site on the demographics of standing dead trees in eastside pine forests. In: Proceedings of the Symposium “Ponderosa pine: issues, trends, and management” (Ritchie MW, Youngblood A, Maguire DA eds). Gen. Tech. Rep. PSW-GTR-198, USDA Forest Service, California, USA, pp. 171-181. Stand structure and successional trends in virgin boreal forest reserves in Sweden. Forest Ecology and Management 98: 17-33. Deadwood in relation to stand management and forest type in central Apennines (Molise, Italy). Ecosystems 11: 882-894. Deadwood in forest stands close to old-growthness under Mediterranean conditions in the Italian Peninsula. Italian Journal of Forest and Mountain Environments 65: 481-504. The management of snags: a comparison in managed and unmanaged ancient forests of the southern French Alps. Annals of Forest Science 62: 135-142. Coarse woody debris carbon stocks in natural spruce forests of Babia hora. Journal of Forest Science 56: 397-405. Dying, dead, and down trees. In: “Maintaining Biodiversity in Forest Ecosystems” (Malcon L, Hunter JR eds). Cambridge University Press, Cambridge, UK, pp. 335-372. Coarse woody debris, forest structure and regeneration in the Valbona Forest Reserve, Panaveggio, Italian Alps. Forest Ecology and Management 235: 155-163. Modelling dead wood in Norway spruce stands subject to different management regimes. Forest Ecology and Management 182: 13-29. SAS/STATTM User’s Guide, Relase 9.1. Cary, NC, USA. Coarse woody debris and stand characteristics in mature managed and old-growth boreal mesic forests in southern Finland. Forest Ecology and Management 128: 211-225. Coarse woody debris in midwestern old-growth forests. Forest Science 45: 302-313. Coarse woody debris in Douglas-fir forests of western Oregon and Washington. Ecology 69: 1689-1702. Coarse woody debris following fire and logging in Wyoming lodgepole pine forests. Ecosystems 3: 472-483. Forest inventory and analysis program: field instructions for the annual inventory of Washington, Oregon and California. Pacific Northwest Research Station, Portland, OR, USA, pp. 172. Dead wood - a typical shortcoming of managed forests. Revue Forestiere Francaise 55 (2): 99-112. The line-intersect method in forest fuel sampling. Forest Science 14: 20-26. When nature takes over from man. Dead wood accumulation in previously managed oak and beech woodlands in north-western and central Europe. Forest Ecology and Management 258 (4): 425-435. Diversity and spatio-temporal dynamics of dead wood in a temperate near-natural beech forest (Fagus sylvatica). European Journal of Forest Research 126: 359-370. 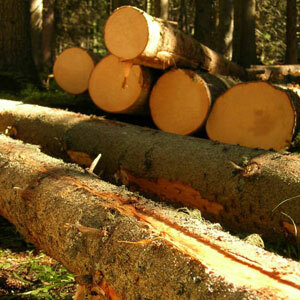 A line-intersect technique for assessing logging waste. Forest Science 10: 267-276. Analysis of sampling methods for coarse woody debris. Forest Ecology and Management 198: 133-148. Sampling protocol, estimation, and analysis procedures for the down woody materials indicator of the FIA Program (2 edition). Gen. Tech. Rep. NRS-GTR-22, USDA Forest Service, St. Paul, MN, USA. Estimating dead wood during national forest inventories: a review of inventory methodologies and suggestions for harmonization. Environmental Management 44: 624-631.